The merging procedures of two ontologies are mostly related to the enrichment of one of the input ontologies, i.e. the knowledge of the aligned concepts from one ontology are copied into the other ontology. As a consequence, the resulting new ontology extends the original knowledge of the base ontology, but the unaligned concepts of the other ontology are not considered in the new extended ontology. On the other hand, there are experts-aided semi-automatic approaches to accomplish the task of including the knowledge that is left out from the resulting merged ontology and debugging the possible concept redundancy. With the aim of facing the posed necessity of including all the knowledge of the ontologies to be merged without redundancy, this article proposes an automatic approach for merging ontologies, which is based on semantic similarity measures and exhaustive searching along of the closest concepts. The authors' approach was compared to other merging algorithms, and good results are obtained in terms of completeness, relationships and properties, without creating redundancy. Ontology merging is an important procedure in ontology mining and ontology integration, to unify, extract, or create semantic content from different ontologies, which may be defined on the same domain or not. The process of the ontology merging traditionally uses the alignment of concepts as the way to establish relationships between concepts of different ontologies. However, the merging based only on the alignment can lead to leave out knowledge into the enriched ontology because the associated concepts of the other ontology were not aligned as authors in Sun et al. (2010) and Raunich and Rahm (2012) exposed in their work. For purposes of this work, the authors will call this process as “weak merging”. 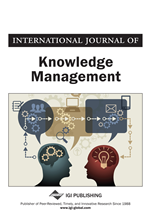 To face with the disadvantage of the weak merging, which do not consider all the existing concepts in the input ontologies, this paper proposes an algorithm with mechanisms to ensure that all knowledge associated with the concepts on the input ontologies is included into the new resulting merged ontology. This kind of merge is called in our work as “strong merging”. The basic difference between weak merging and strong merging is that the weak merging enriches one of the ontologies with information from the other ontology, by considering only the aligned concepts; while in case of strong merging, besides the aligned concepts, the unaligned concepts are also included in the new ontology as good as possible. As result, a complete merging with the knowledge of both input ontologies could be performed. Both kinds of the merging procedures use alignment techniques based on semantic similarity between concepts. In our approach, the authors previously formalize the concepts of weak merging and strong merging, and from these concepts the authors propose the algorithm in two steps: (1) Weak merging based on semantic similarity measures is performed, then the aligned concepts are included directly in the base ontology, and (2) Strong merging is executed from the previous resulting ontology, by applying certain verification rules through the exhaustive searching of the closest concepts to the aligned concepts, in order to include all the concepts that have been left out after the weak merging. As result, all the concepts are included in the new ontology, with their associated relationships in the best place, according to certain criteria to avoid redundancy and incoherence in the new merged ontology. Particularly, our approach performs an exhaustive searching of the closest concepts from the ancestor concept of the aligned concepts, to include them with their corresponding relationships. In our knowledge, the concept of strong merging has not been widely exploited in the literature, and this is the main contribution of our work. One of the relevancies of the strong merging is it unifies all the knowledge into a same ontology. This result could be useful in some computational frameworks, because the distributed knowledge can increase the query time in the ontology-oriented architectures. Also, the strong merging is relevant when the alignment process is very poor, because the resulting enrichment could be very weak. The alignment is the process of finding correspondences of semantic similarity between the concepts and relationships of different ontologies, then, if the alignment between two ontologies is poor, only a little portion of the concepts from the ontologies can be merged. In this case, a slight enrichment of the two ontologies occurs, which is a copy of one of the ontologies with little knowledge of the other ontology. As authors Porello and Endriss (2014), Maree and Belkhatir (2015), and Yuan and Tripathi (2015) expose a classical problem of the approaches using “weak merging”. Besides to the mentioned contribution of this work, our algorithm performs the full integration of ontologies in an automatic manner with an intelligent management of the merging process in the same domain, to avoid inconsistencies or redundancies. In this sense, our algorithm does not require an expert knowledge of the domain. The following sections are organized as follows. Section 2 presents the related works, where the authors describe the traditional merging process of ontologies. In Section 3, basic concepts of the ontology mining related to semantic similarity and ontology merging are presented. The core of our approach is developed in Section 4, where the strong merging-based algorithm is described. Section 5 discusses the experimental validation and the result analysis of three cases of study, to show the performance of our algorithm. Finally, Section 6 draws the conclusions and future work.